Nintendo's just started shipping out these SNES controllers to their Club Nintendo members in Japan, and great googly moogly are these fantastic. Not only is it a similar greyish color, but the X Y B A face buttons are exactly the same color as before! 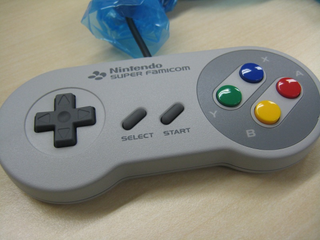 What better way to play SNES games on the Wii emulator than with an actual SNES controller!